We provide only the best for the students and families that trust us with their musical instruction. That means that we never violate copyright law, we don’t charge music “use” fees, we don’t change policies without telling you a minimum of 30 days in advance, and we NEVER, EVER put anything ahead of what is in the best interest of the student and their success. We hold our students to high standards of achievement and excellence therefore it is only appropriate that we hold our studio and teachers to high standards to ensure not only your satisfaction but the ultimate success of the student! This also means that our teachers have passed a thorough background check and are cleared to work with children. The following policies are our general studio “umbrella” policies. Individual teachers policies which will be provided to you upon enrollment with them. Respect and good manners are expected of everyone: teacher, student, and parents. Not only do we teach music, we teach life skills at the same time either directly or by example. Uncooperative students may be asked to leave when behavior isn’t modified after being asked to do so. We are an independent business and set our own policies and procedures. The other businesses at our Northside location are not affiliated with us nor are they involved with our operations and generally do not have specific information pertaining to TMSOW. We ask that you bring any concerns directly to us so that we can work with you to resolve them. Attire should be age appropriate when coming to your lesson. Cleated sports shoes may not be worn in the building. If your child needs to be dropped off early or picked up late, please have them bring homework, reading, or a quiet activity they can do while waiting. Please remember to be respectful of the lessons in progress when you come in. Parents or other persons are welcome to wait in our studio waiting area or in the general open waiting areas of our two facilities. Free, wireless internet access is available! Please ask for the network ID and password. Piano students are expected to have washed their hands before coming for their lesson. Finger nails should be kept trimmed to allow playing on finger tips. Hand sanitizer is available by the restrooms to help prevent the spread of illness. All students are expected to use the hand sanitizer before playing our instruments shared with other students or teachers. Please be respectful of the other students having lessons and help keep our waiting area quiet. Please speak with one of our Front Desk staff regarding any absences or requests for make-up lessons. All requests must go through Front Desk in order to ensure that both teachers and students are reminded and informed about re-scheduled lessons. We want you and your child to get the most out of every lesson you pay for. That means making progress from week to week. We highly recommend (and expect) the student to come to lessons prepared to move on to the next assignment, unit, or level. We believe that this is what every student and parent expects to get out of taking lessons. The responsibility for being prepared for each lesson is with the student. The more you practice between lessons, the better you will become and the faster you will progress. Our illness policy is similar to your school’s. Students running a fever are not allowed to come to the studio and may not do so until they have been fever free for 24 hours. We want everyone to stay healthy so we don’t have to cancel other people’s lessons! There is no advance notice requirement for students who will need to miss a lesson because they are sick. We simply ask that you call as early as possible so that we can allow students with later lessons to move up or offer the lesson slot to someone needing a make-up lesson. Lessons are scheduled on a first come basis. If you have a need to have a particular lesson time, we are happy to work with you and we also allow parents to arrange and mutually agree to swap lesson slot times at any time. Simply let the front desk person know what you are doing so we can keep our master schedule updated! Our fall semester begins the second week of August and ends the Friday before Christmas. Spring semester begins the first full week of January and ends the Friday one week before Memorial Day. Summer schedule begins the first full week of June. We do not schedule or teach lessons on the following holidays: Thanksgiving Day, Christmas Eve, Christmas Day, New Year’s Day, Good Friday, Independence Day, Labor Day, and Memorial Day. Lessons or classes which fall on these holidays will be rescheduled in advance by the teacher. While we generally follow the Warrensburg School District calendar we do not close on school holidays/breaks. If your teacher is absent for any reason, we provide a competent, qualified substitute for your lesson in order to ensure continuity of instruction. If the student chooses not to take a lesson with a substitute it will be treated as an absence without notice and tuition for that lesson is forfeited. Studio management staff will handle all communications regarding absence (immediate or in advance). Please call the studio desk at 660-362-1575 or fill out an absence form at the desk. We ask that you do this even if you communicate absence information to your teacher. This ensures that 1) you are not over-charged, 2) all studio teachers are properly informed, and 3) that substitute teachers are scheduled in advance. In order to ensure that miscommunications do not take place, we ask that you make all contacts with teachers through the TMSOW phone system. If a teacher contacts you from a source that is NOT our studio line, we ask that you document the call with our front desk so that everyone affected by a change in schedule has the information they need! Attendance at lessons is crucial to your success. We also understand that life sometimes gets in the way! Make-up lessons are handled on a case by case basis. If you must be absent, please call the studio at 660-362-1575 at least 24 hours in advance. Our teachers are more than happy to reschedule lessons when there are schedule conflicts. School events such as parent-student-teacher conferences, music programs, and so forth will always be allowed for rescheduling a lesson that is missed because these are important parts of your child’s education. Religious activities or observances are also included in this. Any other activities not sponsored by a recognized school or church should be discussed with the teacher at least two weeks in advance. You are allowed three missed lessons per school year which will be made up. Unless there are extenuating circumstances, after this any make-up lessons will be at the teacher’s discretion. Make-up lessons which can not be scheduled the same week as the original lesson time will take place on the last Saturday of each month except when a holiday weekend falls on that date. Teachers are not allowed to “add time” to scheduled lessons for make-up purposes. We do not make-up lessons or missed portions of lessons due to a child participating in another lesson or class outside of school. Your child’s opportunities to perform are a keystone of our studio! We have two major studio recitals per year: Late November/Early December and our Final Recital in late May. Starting in 2018, we will have monthly “showcase” programs which will be held at our Downtown Theatre location. Students will be scheduled into these showcases by their teacher. These mini-recitals are intended to give kids a less stressful opportunity to practice stage presence, work through performance nerves, and to become comfortable with performing in front of an audience. Showcases are not intended for the general public and we ask that only parents and siblings attend to ensure each performer a very stress-free experience. Our teachers are all members of the National Federation of Music Clubs and our students have the opportunity to participate in the area Festival held at UCM in the spring. We take students to the Warrensburg Senior Center and several local nursing homes to perform during the Christmas holiday season. In addition to these regularly scheduled events, our teachers individually provide performance opportunities at area churches, civic events, clubs, and various functions that provide additional opportunities for your child to shine! We NEVER violate copyright laws. In the event that a photocopy must be provided, it will only be done when either we have written permission from the copyright holder (read “composer”, “arranger”, “licensing agent/entity”, “authorized agent”) to do so or when the rules of “fair use for educational purposes” is applicable. We do not condone illegal photocopying not only because it is illegal, but because it is cheating and dishonest. We expect our students to play by the rules and we set an example for our students to follow by doing the right thing in this way. Studios or teachers that do otherwise place not only themselves, but the person(s) receiving benefit from illegal copying at legal risk. In order to meet this standard, we expect all students to own original copies of their music and instructional materials. Any instructional materials created by our teachers for student reference or use are provided at no additional charge and have been reviewed by the Artistic Director for content and propriety. We ask that you respect the legal rights of composers, arrangers, and artists and not bring in photocopied music unless it has been approved in advance. This also applies to any recordings your child may use for practice purposes. If a back-up track is provided for that purpose, we will expect you to reimburse the studio for the cost of purchasing the usage license from the copyright holder or authorized agent/agency and the CD. Please don’t ask us to make photocopied music for you or your child to use in lieu of purchasing a legitimate copy. 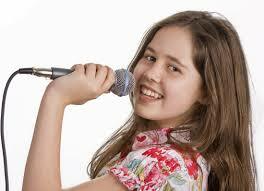 Home School Band: $45.00 per month (Monday/Thursday, 2:00 p.m.). $5.00 off for second child in same family, $7.00 off for each additional child up to five children. We bill for and collect private lesson fees one month in advance. Lesson fees are non-refundable and are due on the 25th of the month for the next month. We do not pro-rate or divide lesson fees into equal installment payments. You are billed for the number of lessons you will receive each month. This may be 3, 4, or 5 lessons depending upon number of weeks in the month or holidays/vacations. Known conflicts with lessons where a make-up can not be arranged must be provided to the front desk in writing by the close of business by the Thursday before the 24th day of the month in order to adjust tuition billing. We also ask that if you plan to discontinue lessons that you notify the studio in the same time frame. You may discontinue lessons at any time, however refund of tuition fees are only given in circumstances such as military transfer, family relocation, long-term illness, and similar). Credit/Debit cards are required to be on file for all families even if you choose to pay by cash or check. The credit card on file will be charged on the 25th of the month (or the last business day before the 25th) if tuition has not been received by that time unless you have made other arrangements with us in advance. Late fees of $10.00 per lesson/class will be added to accounts not paid in full by the last day of the month. NSF Check fee: $50.00. Some group lessons or classes and all theatre participation fees are flat-fee tuition. The cost of the class is paid in one payment or, in some case, two payments. Other payment options may be discussed by contacting the studio management – our goal is to be as helpful as we can. Once paid, flat-rate fees are non-refundable without exception. In the case of theatrical productions, the studio bases those fees upon the actual costs of participation for your child. These costs may include special costuming, make-up, special props, and so forth. Once a show goes into rehearsals and a performance venue is booked and confirmed, participation fees become non-refundable. If a show is cancelled and no alternate show can be arranged then participation fees are refunded however. The studio reserves the right to replace a cancelled show with another comparable production and will place all cast members in comparable roles. A cast member withdrawing from a theatrical production is not entitled to a refund of participation fees. Complimentary participation fees are non-transferable. Any exception to the above policies are at the sole discretion of studio management. Private lesson fees are not refundable. Requests to withdraw or suspend lessons (up to 60 days with credit) must be received by the 20th of the month. No refunds are given for unused lessons except in unusual circumstances which are determined on a case-by-case basis. Any withdrawal or suspension request must be made in writing (email or withdrawal form at front desk). All withdrawals must be handled through our front desk. Teachers are not allowed to take withdrawals. If you withdraw, any unused tuition will remain as a credit on your account and may be used for any future enrollment. Any music, instructional materials, or consumables purchased through the studio are expected to be paid for at the time of sale. We accept cash, personal checks, and credit cards for payment of fees. We offer a very generous referral discount! For each new student you refer to us who enrolls in lessons and completes two months of lessons, you will receive one free lesson. If you refer a total of 4 students, you will receive one free month of lessons. Military and Public Service personnel receive a 10% discount on tuition. If you have a Warrensburg Bands discount card, we will honor that discount toward tuition. Discounts may not be combined. We recognize that there are many online opportunities to purchase music, supplies, and so forth at discount prices. We do not recommend any specific online vendors and you are under no obligation to purchase any music or instructional materials through the studio. You will find our prices to not be artificially inflated. If we special order an item for you we will add shipping/handling charges, however. Whatever the price is on the item, especially if printed on it, is the price you pay plus sales tax. We DO hope, however, that you would consider purchasing items that we routinely keep on hand from us. We also appreciate you sharing the word about the availability of supplies for band and orchestra students here! Parents are not only welcome, but are encouraged to sit in and observe your child’s lesson. We simply ask that you observe and not distract your child while instruction is taking place. Our lobby area is your’s to relax and enjoy while you are waiting. You are welcome to bring reading materials or electronic devices with you. We have wireless high speed internet available – just ask us for the password! Our only request is that all persons in the lobby area speak softly and help us maintain a reasonably quiet learning environment. We ask that you make every possible effort to have your child here at least five minutes in advance of their lesson time. We cannot run over into the next student’s lesson time if your child is late, and we don’t routinely make-up for “late” time. If you know that you are going to be more than five minutes late you may wish to call and reschedule the lesson. You are the best role model for your child. When you sit in on your child’s lesson, feel free to take notes about techniques, assignments, or other information that your child receives in the lesson. Then, when they are practicing at home, you can remind them of what they were assigned to work on, etc. We love drama but ONLY the kind of drama that comes from our students and families participating in a theatrical production that takes place ON STAGE and is part of the script! TMSOW reserves the right to terminate it’s services to anyone creating or perpetuating unnecessary “drama” affecting students or their families. We ask that you be respectful at all times and mindful of this policy. The company reserves the right to determine what constitutes “unnecessary drama” and how to proceed based upon what is best for kids. We use email and text messaging to communicate information to families. All studio notices are sent electronically. WE DO NOT NORMALLY MAKE PHONE CALLS FOR SITUATIONS THAT AFFECT EVERYONE. Please check your email often and ensure that your email account is set up to not filter emails from tmsowbg@gmail.com. LessonMate is used to provide assignments, other online resource references to you, and non-critical communications between your teacher and your family. You may, from time to time, receive email notices about studio activities, and other pertinent information. We do not sell or otherwise release any personal information about you (including your email address!) to any outside party. As part of the registration process, you will be asked to sign a form stating that you are aware of these policies and agree to be bound by them. A “Use of Likeness” form will also be provided to opt in or opt out of the use of you or your child’s image in photos, videos, or advertisements.